GARDAÍ ARE APPEALING for witnesses following two separate cash-in-transit robberies today. The first incident happened outside a premises on the Ballygall Road in Finglas, Dublin at around 8.20am. A man armed with what is believed to be a gun threatened a security officer and stole and cash box as the security employee went to enter the premises. The man is described as 5’7″, wearing a wine and black hoodie. 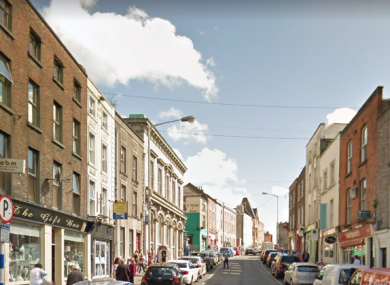 He fled the scene with another male driver in a black Toyota Yaris, with a partial registration of 06 D, in the direction of Fitzmaurice Road. The car was located burnt out a short time later in Fairways Estate in Finglas. The second incident happened outside a bank on St Laurence Street in Drogheda, Louth at around 10am. Two masked men armed with pipe like instruments threatened security officers and stole a cash box. They left the scene in a 2007 dark green Opel Zafira. This car was also found burnt out in the Dale area of Drogheda. In relation to this incident, gardaí are appealing for anyone who witnessed the robbery or who may have any information on the movements of the getaway car to contact Drogheda Garda Station on 041 987 4200. Gardaí are also appealing for anyone who witnessed the robbery in Finglas or who may have any information on the movements of the getaway car to contact them at Finglas Garda Station on 01 666 7500. Email “Masked men with pipe-like objects threaten security officers and steal cash box at bank”. Feedback on “Masked men with pipe-like objects threaten security officers and steal cash box at bank”.